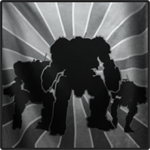 MWO: Forums - Heat Capacity Skill Question. Does heat capacity skill at max(15% currently) multiply the entire end capacity or only those of certain heatsinks like those outside the engine or the base 30? If I'm in clan(I'm aware there's no difference now) and have 20 DHS I have 65 capacity without skills. Does the skill trees 15% multiply the entire thing by 1.15 for 65*1.15=74.75 capacity or only partially like (35*1.15)+30=70.25? Edited by Arugela, 28 May 2017 - 12:19 AM. Same way that Heat Containment applied it to the total heat threshold as one thing. But, it doesn't multiply by 1.15 or whatever that is..
Neat, another way of doing the percentages. Keep in mind the percentage is accumulative, so whether it's 1+1+1+1 (etc), 15, whatever it might be... Say there's 20 1% skills to unlock, in the end it's just 20% and not X*1.01*1.01*1.01 (20 times over). That can depend on how they calculate it. If they add the percentages together as a value/variable first then multiply it's the same as just adding the variables. they don't usually multiple the little variables together on at a time. Unless they are seperate values and on purpose in small cases. Although that would give a slightly better value. 8) NVM, saying the same thing. I wasn't sure because if I use the entire capacity and apply the bonus I get slightly better max damage output per heat. Where if I only apply it to the non base capacity(AKA Heat capacity -30) then it is potentially more like the previous max damage on my testing mech. I wasn't sure as I wasn't sure how it previously worked. In the old system with my testing mech I can do 1 alpha and a a partial set of attacks. In this new setup I can do two alphas and very slight to no overheat. So the system is a slight bonus to previously Even though the heat dissipation is now slightly lower, but I should get a more evened alpha strike setup. Which bums me out a little because I liked the 4/s dissipation I used to get a free attack from chainfireing SPL's. I hope they put dissipation back up to 15% for clan. Currently everything will take +1 DHS to get the same results in dissipation. Maybe Clan gets a change to +15% max dissipation(3% per node) in the current values without loosing capacity. Then Clan gets one value higher than IS. 8) And increase Weapon Heat Gen to 0.8 per node = 11.2% for Clan. This would simplify heat for Clan immensly. To compensate give IS a bunch of nicer numbers like 1%(14% total) per weapon heat gen node..
Edit: On a side note, is there any chance the +8magazine capacity skill will be applied universally and not with differing values to only a few weapons ammo? Edited by Arugela, 28 May 2017 - 11:17 AM.